With over 7300 monthly listeners to date, and a current Spotify fan base of 91K, Teacha Dee has officially received the verification “blue tick” from Spotify, which you can be sure to see on all social media and other sites across the web very soon! 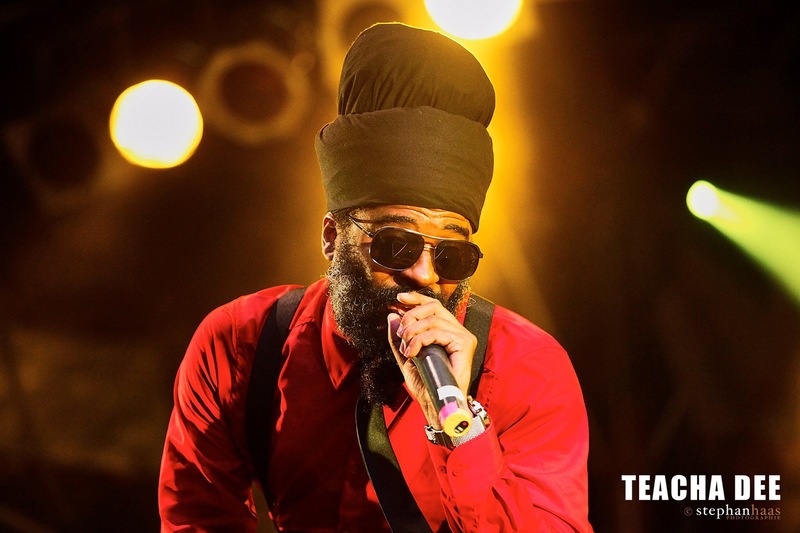 Songs including his latest release “Rastafari Warning“, and his most played song on Spotify, “Smoke and Fly“ which has over 300,000 streams. Both albums, “Reggae Souljahs” and “Rastafari Way” as well as a collection of singles. An “Appears On” section. On here you can find collabs and riddims selections. Also the artist’s picks of the week. If you haven’t already, be sure to check out Teacha’s Spotify, and hit follow to keep updated. The dynamic duo Perfect Giddimani and Teacha Dee, have released (through Reggaeville) the official video for the song Positive Energy today. This song which is track 7 on the album Live My Life Again has been getting some good reviews worldwide. L.M.L.A. released earlier this year by Rose, debuted at number 1 on the Billboard Reggae Albums Charts, slid to number 5 in the second week and climbed to number 3 on its 3rd week. This album also features Anthony B, Lutan Fyah, Kumossi (a female group out of Africa), Stephen Dajure and Sam Gilly who created some special dub versions.